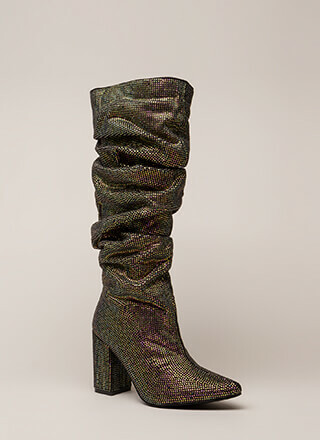 These babies deserve a standing ovation. 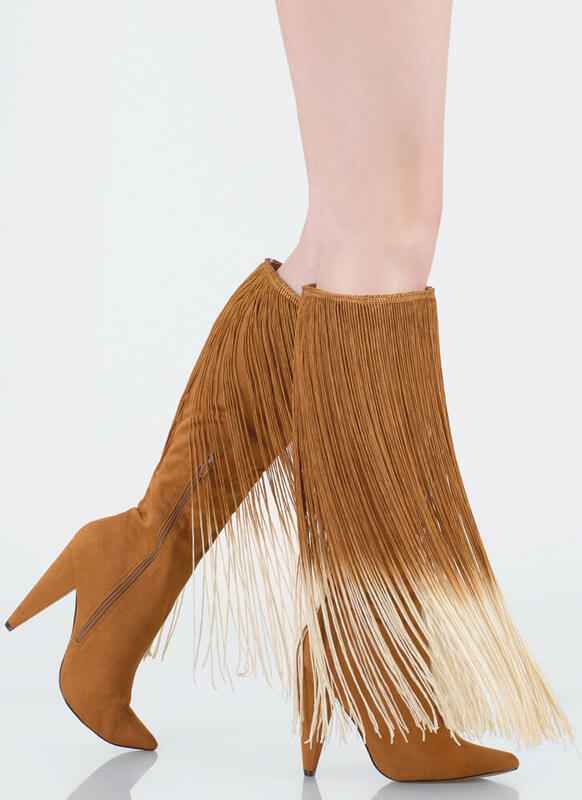 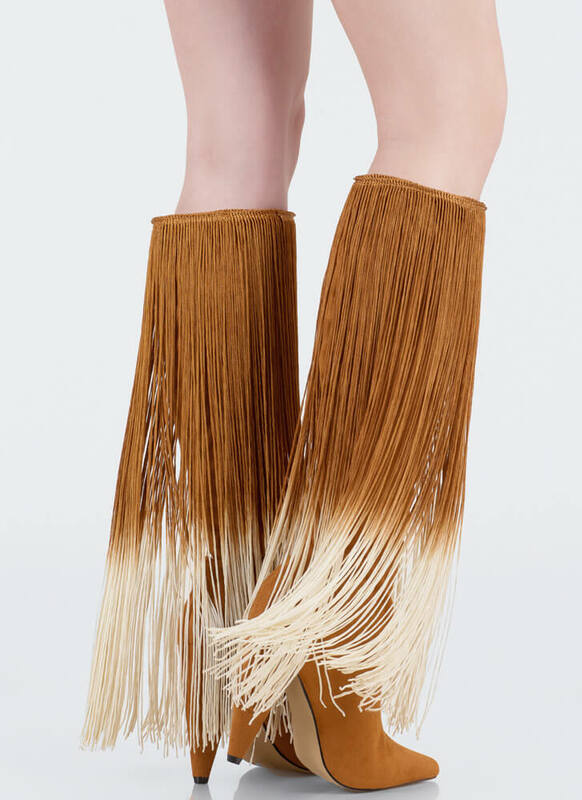 Pointy, knee-high, vegan suede boots feature a cone-shaped heel and an extra long, two-toned, ombre fringe panel around the opening, creating a dip-dyed and curtained look. 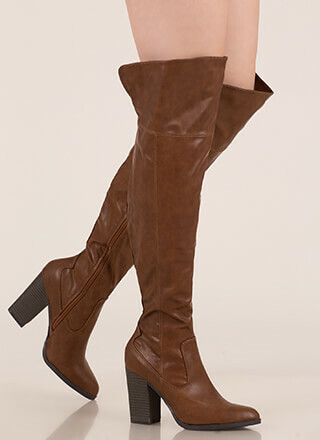 Shoes are finished with a ridged sole and a hidden side zipper for easy on and off.